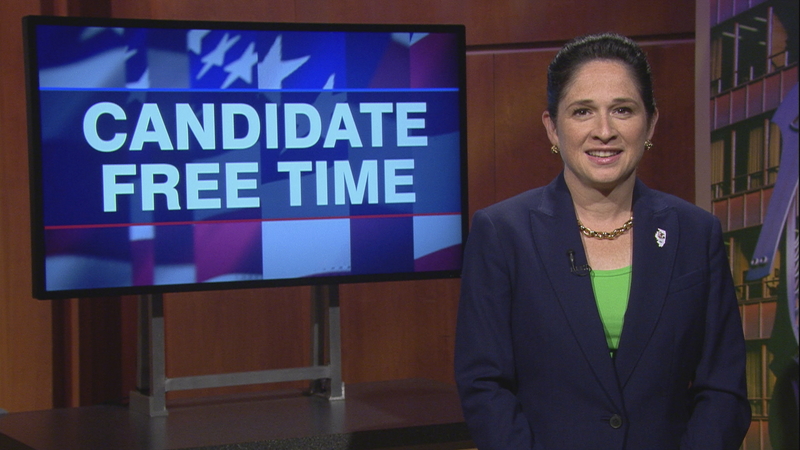 Video: Susana Mendoza tells voters about her platform. Learn more about Candidate Free Time. Elected Comptroller of Illinois, Dec., 2016 - present. The Illinois comptroller is an executive branch office of state government charged with maintaining the fiscal accounts of the state of Illinois and ordering the Illinois treasurer to make payments into and out of those accounts. My vision for the office is one that has a moral compass when it comes to making decisions about paying the state’s bills. The Comptroller must make value judgements about which state vendors owed money by the state will be paid first. When I took office in the depths of the budget impasse, I found myself in a position that the Comptroller was never meant to be in -- making life-or-death decisions about who gets paid now and whose payments have to wait. That’s because the state doesn’t have enough money to pay all its bills. Bills owed to hospice centers were backlogged 6 months. Some nursing homes were on the verge of closing because the state had not paid them in so long. Quarterly categorial payments in the state’s schools were running nearly a year behind. These are the funds that schools rely on to fund special education programs and transportation for children with special needs. Social service agencies around the state were closing, cutting back services, laying off staff. Who WAS getting paid? Certain government contractors. My predecessor quietly transferred about $70 million in the days before I took office to pay some connected consultants. Committed to running the Comptroller’s Office to be both morally and fiscally responsible, I quickly re-arranged priorities to make sure services for the state’s most vulnerable got paid first. In order to avoid any further damage to our credit ratings, I start by paying our debt service payments and pension obligations. Medicaid and General State Aid payments are next. Nursing homes, hospice centers, children and adults with disabilities and those caring for them are at the front of the line once those other mandated payments are met. I have and will continue prioritizing education payments at every level, from early childhood through K-12, colleges and universities. With billions still in the backlog, my office continues to operate in triage mode, making sure that we are able to be responsive to struggling vendors who are on the verge of missing payrolls or struggling to stay in business. My vision is also of an efficient office that is on the cutting edge of transparency and technology. I have a record of leading by example on budget-cutting. In the City Clerk’s Office, my hands-on approach to the job helped me cut overtime spending by more than 70 percent, reduce payroll by more than 10 percent, saving Chicago taxpayers millions, and in fact, provide a better level of service to constituents. As Comptroller, I’ve stayed true to my record of doing more with less. While state agency directors refused to volunteer cuts to their budgets during appropriation hearings last year, I cut my office budget by $2.2 million compared to the last full-year budget in FY2015, down from $25.4 million to $23.2 million, representing the lowest budget request for the Office of the Comptroller in 20 years. Upon taking office, I shrunk the office’s fleet of cars from 11 to 9, replacing an old sedan with a used SUV the staff uses to carpool from Chicago to Springfield and around the state. I have implemented policies requiring employees to carpool or take public transportation for work trips. The previous Comptroller allowed individual staff to use personal vehicles to unnecessarily drive themselves all over the state and claim costly mileage reimbursements. The cost-cutting travel measures I enacted, allowed me to cut the office’s annual travel expenses down from $265,000 a year to $47,000 my first year, without sacrificing our ability to meet with taxpayers, businesses or service providers throughout the state. I managed my budget so well, that I was able to return $1 million dollars to the state’s coffers last fiscal year and remain on track to do as well or better this year. When it comes to transparency, I have done about ten years worth of work in less than two years as Comptroller. I launched a transparency revolution that includes several pieces of legislation passed by the General Assembly with unanimous or nearly-unanimous support. Before my signature bill, the Debt Transparency Act, the Governor’s agencies only reported their account balances once a year, and those numbers were woefully out of date by the time they were made public. Now taxpayers can view agency-by-agency detail of how the state spends their money on our website. That website has also been revamped to make it simpler to navigate so taxpayers, journalists and civic groups can easily find the important fiscal information the Comptroller’s office provides. It’s one of first of several technology upgrades I am leading. I’m working to make the Comptroller’s office a model of payroll and accounting innovation. In the same way I pushed a technology upgrade through the Chicago City Clerk’s office, moving from once-a-year to year-round city sticker sales, I hope to upgrade the Comptroller’s systems that issue all the state’s checks. The upgrade at the clerk’s office brought millions of dollars in savings to city taxpayers and the upgrades in the Comptroller’s office should likewise bring efficiencies. The state’s fiscal condition is the most pressing issue in Illinois. As Comptroller, I have made every effort to help put the state on better fiscal footing, and bring some stability and predictability to schools, providers and business across Illinois, and I will continue to do so. We all need to care what Wall Street thinks about Illinois’ budget and finances because if they lower our ratings, that costs all Illinois taxpayers more when the state goes to market with bonds. Instilling confidence with the markets is always a challenge, but especially so when dealing with what is still a significant backlog of unpaid bills and a state with a history of imprudent fiscal decisions. After two years without a budget, the Governor appeared hell-bent on forcing a third year without a budget to further cripple our state, so I used my position to meet with legislators of both parties and educate them on the dire consequences of a third year without a budget and the resulting plunge into junk-bond status. I released a video that went viral, getting 2.8 million views in just two days. Republican and Democratic legislators came together and overrode the Governor’s veto so we could finally have a budget. That budget gave the Governor authority to issue up to $6 billion in bonds to pay off old debts. The Governor said he wasn’t interested in doing that. So, I had to launch a statewide tour to make the case, to civic groups and editorial boards that this was as simple as refinancing your home. If you’re paying 12 percent on your mortgage and you can get 3.5 percent, you do it. Right? After two months of fighting me on this, the Governor relented and agreed to the refinancing. I attacked the highest interest-accruing debt first. As I paid down billions of dollars of Medicaid debt, I got federal matching funds and was able to turn that $6 billion into $8.8 billion. I slashed the backlog of bills from $16.7 billion to about $8 billion today. That lower interest rate – 3.5 percent compared to 12 percent – will save Illinois taxpayers about $4 billion to $6 billion over the life of the bonds. That’s how I think the Comptroller’s office should be used. I believe my transparency efforts will help Illinois recover from the worst fiscal crisis it has ever seen. It’s hard to overstate the importance of the Debt Transparency Act. It really revolutionizes state finance. I didn’t realize as a legislator – and none of my fellow legislators I spoke with did either – that we used to draft budgets based on year-old numbers. At your home, do you balance your checkbook just once a year? With year-old numbers? This year, for the first time, legislators had current numbers as they worked with each other and the Governor’s office to draft the consensus budget that passed this year. Now, instead of a once-a-year report that is three months old, we publish the Debt Transparency Report every month. You can see the reports and every reporting agency’s numbers on our website, which is really the best window into Illinois’ finances. Thanks to the DTA we learned for the first time just how much in Late Payment Interest Penalties the state had racked up during the 2-year budget impasse: More than $1 billion. One of my most recent transparency initiatives requires, for the first time, that governors say how they plan to pay for those penalties in their budgets. No matter how bad the problem is, we can’t start to solve it until we can truly see what we’re dealing with. Giving taxpayers this kind of a window into state finance puts them in a position to demand more accountable budgets from their legislators and the Governor. Hi, I’m Illinois State Comptroller Susana Mendoza. It’s been the greatest privilege of my life to get to serve the people of Illinois by managing the state through the worst fiscal crisis in its history. And I have a record to be proud of. Since taking office less than two years ago, I’ve cut the bill backlog in half; championed a bond deal that produced lower interest rates, saving taxpayers a net $4 - $6 billion in late payment interest penalties; and because I believe that you deserve to know how your tax dollars are being spent, I’ve led a transparency revolution! I’ve passed four major transparency reforms including the Debt Transparency Act - the largest transparency reform in the history of the Comptroller’s Office which requires new monthly instead of outdated yearly reporting of the state’s financials. I cut my own budget, managed it so well, that I returned $1 million to the state treasury, and introduced the lowest Comptroller budget in 20 years. At a time when the Comptroller’s Office is being asked to do more than ever before, and has had to work harder than ever before, we are doing more with less and leading by example. Our newly revamped website shows our daily tally of the state’s unpaid bills stands at $7.4 billion today compared to $16.7 billion a year ago. I’m proud to run an administration as bipartisan as my legislative service. And why can I say that? Because just like during my time in the legislature, as Comptroller, all of my bills passed with unanimous or near-unanimous bipartisan majorities, with Democratic and Republican chief co-sponsors. So to recap: I’ve passed the Debt Transparency Act; the Truth in Hiring Act; I cut my own budget; slashed our bill backlog in half saving taxpayers billions. We’re on a roll and I’m just getting started. If you like what I’ve done in less than two years, imagine what I can do in four. I respectfully ask for your continued support and vote. Thank you.